The Flash Season 3 Episode 18 Spoilers, Air Date, Promo: And curtains are about to open as we’ll soon know the real identity of Savitar. All thanks to a new villain in The Flash S3E18 and with that executive producer Andrew Kreisberg revealed that big bad are not speedsters season 4 onwards. In a recent PaleyFest panel of series, Kreisberg gave some details about the new episode. He gave his words that fans will soon get to know who Savitar is in ep18. A villain comes from earth 19 to earth 1 to bring the identity of the speedster in light. 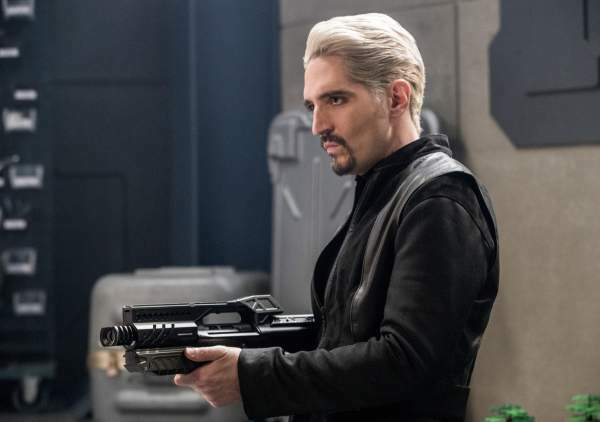 The villain will be called as Abra Kadabra (guest star David Dastmalchian). He traveled from future that’s why he know the real identity of Savitar. According to Kreisberg, his knowledge about Savitar’s identity will put Barry in bad condition in The Flash 3×18. Barry and his team are now confused about either to let Abra Kadabra go to get answers, or not. Kreisberg said the villain’s appearance would arise the question “Can you be a hero if you do one bad thing for the greater good” into everyone’s mind. Well according to a report, Abra Kadabra will escape in episode 18 of Flash season 3. We’ll see him arguing with Barry to let him go so that he can show everyone Savitar’s identity. But before Barry could make his mind about any decision, Gypsy came and took AbraKadabra as her prisoner which later result in escaping of Abra Kadabra accidentally which makes Barry angry. It results in a clash between Barry’s team and Gypsy in Flash S03E18. Cisco is then forced to come in between and Caitlin gets injured. In related news “The Flash” Season3 is the last to feature speedster as the big bad. Kreisberg said season 4 would have an average human as the main villain. However, he did not open the names of Flash potential opponents. The Flash season 3 episode 18 will air on March 28, 2017, at 8 pm ET on the CW. The Flash battles Earth-19 villain AbraKadabra, who offers to tell him Savitar’s true identity if he lets him go; Gypsy tries to take Abra Kadabra for her own reasons, accidentally allowing him to escape. Keep visiting our site for every TV update.